Ach so! is designed to lower the barrier for using video to capture learning and to record events that others could use for learning. It aims to introduce these as useful practices at construction and training sites. Ach so! 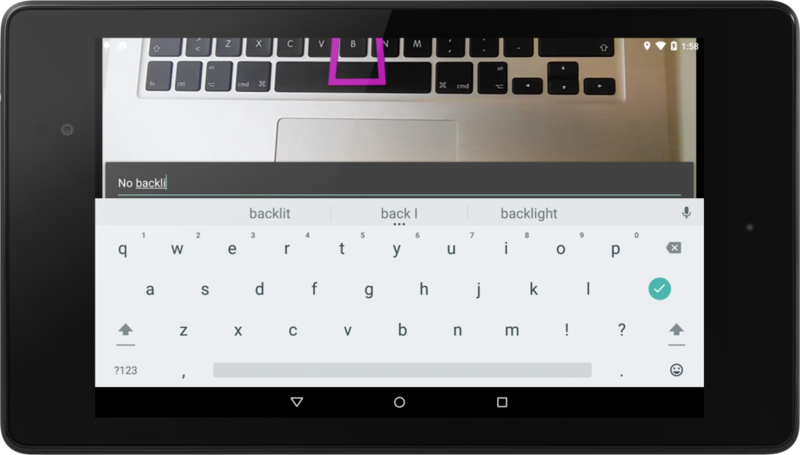 provides an app to introduce the process of using videos for learning. 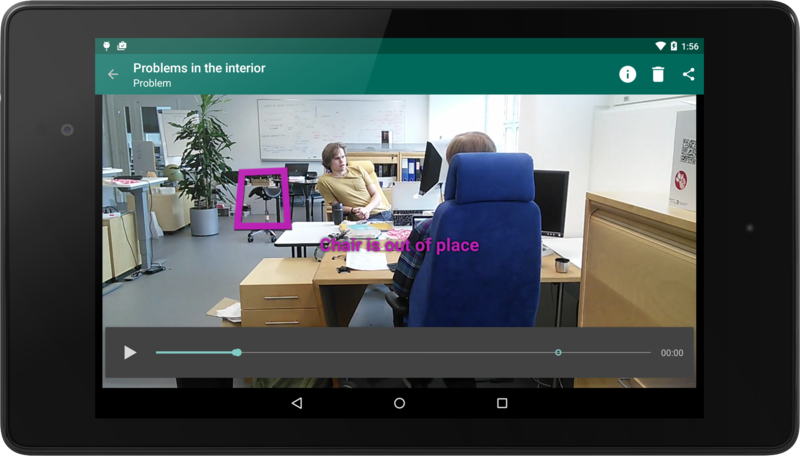 The tool is for recording and annotating video clips for learning in construction. 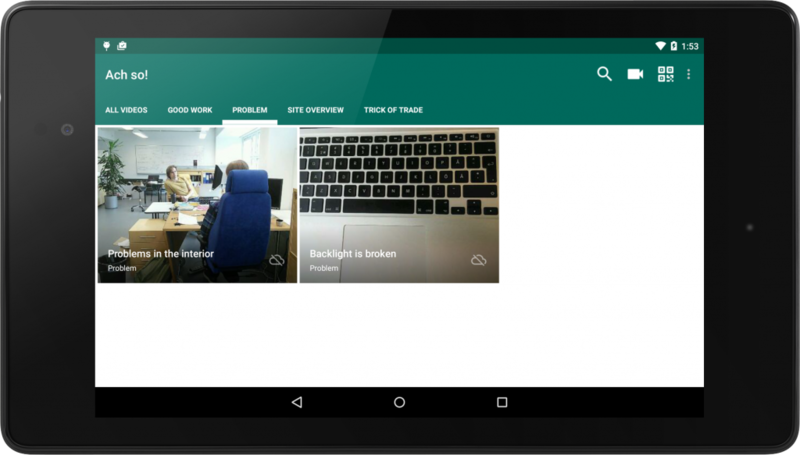 It is implemented as an app for Android platform, to be used with tablet computers or smartphones in construction sites or training sites. In ‘Ach so!’, the users record short example videos in four genres, ‘Site overview’, ‘Problem’, `Good work` and ‘Trick of trade’. Depending on genre, there is semantic information gathered to help finding and suggesting useful video clips for learners. Videos can be connected to real world objects by linking them to nearby QR-code or barcode, or by finding videos recorded near current location. It is also possible to export videos from the device and share them using Android’s share-intent (this includes services like Dropbox, Google Drive, Android Beam, Email, Bluetooth, etc…). These exported videos can then be viewed in a browser-based Ach so! Web, which enables the user to watch videos using a desktop/notebook computer. Ach so! creates MPEG-4 video with serialized semantical annotations. Video descriptions automatically include location, date and author, but they can also be enriched by pointing and adding text-based annotations to locations on screen. The purpose for handling video annotations and descriptions as semantic data is to create recommendations for viewing and using the data as assumptions and suggestions when creating new videos.